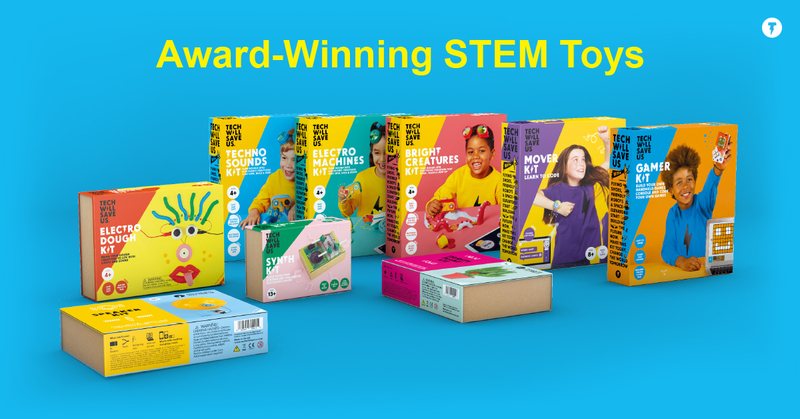 Kids are invited to unlock their creative superpowers and learn new skills with award winning make-it-yourself kits from Tech Will Save Us. 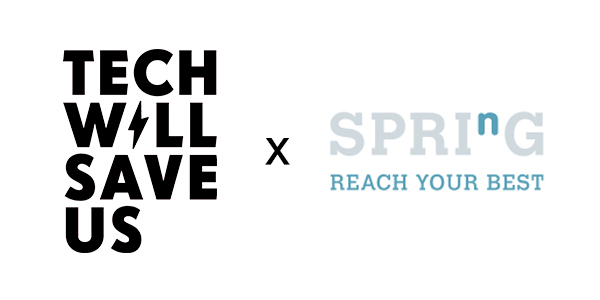 HONG KONG – November 28th, 2018 – Tech Will Save Us, a London-based toy company with a mission to spark creativity and imaginative play using hands on technology, is now available in retail stores and online in Hong Kong. Their interactive kits encourage every kid to be an inventor, regardless of their age or experience. Simple to use and play with, Tech Will Save Us kits combine practical crafts with hands-on creative technology to teach kids valuable skills they need to shape tomorrow. It’s no news that kids need to be learning STEM (Science, Technology, Engineering and Mathematics) skills early, but why is it important? When kids are encouraged to be makers of tech and not simply consumers of it, there is a whole new world of creative inspiration at their fingertips. They learn that there are so many creative and imaginative ways to reach a desired outcome, building creative problem-solving skills in the process. And with Tech Will Save Us make-it-yourself toy kits, kids as young as four can start a lifelong journey of STEM learning and exploring. 1. Sew & Glow Kit:Aged 8+. New in 2018. This is a unique and electrifying way for kids to design and build their very own light-up badges. Kids (and crafty grown-ups) use the templates and colorful felt provided to design their badges. 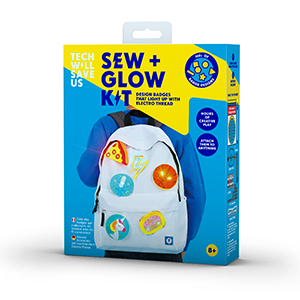 As they build their new inventions, kids will get to grips with traditional crafting skills such as sewing and cutting and begin to explore the wonders of conductive electro thread. 2. 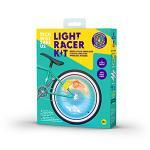 Light Racer Kit: Aged 8+. New in 2018. 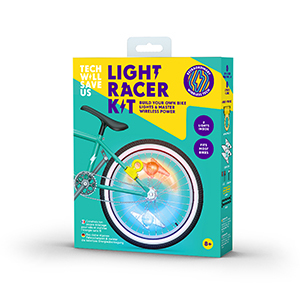 This kit allows kids to build their own wheel lights that flash as you ride. Kids will discover that tech is not magic and understand how to harness everyday technology from resistors to capacitors to LED lights. It’s an exciting and interactive way to teach kids the potential of electromagnetic wireless power, something they don’t get to experience every day. 3. 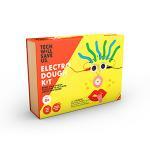 Electric Dough Kit: Aged 4-6. Get your dough creations to life with lights and sound. With this kit, kids can create dough circuits in seconds, mold weird and wonderful creatures or faces, and learn how electricity works. 4. Creative Coder Kit: Aged 8+. 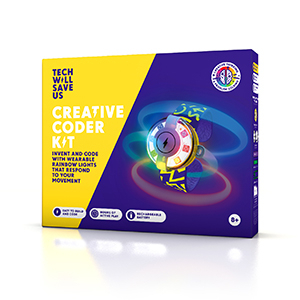 This Tillywig Brain Child award winning kit is the ideal way to introduce coding to kids. Kids use the visual block based coding software to program the wearable Creative Coder. Instead of programming activities for the screen, with Creative Coder you programme a wearable device that will react to your movement. 5. Thirsty Plant Kit: Aged 8+. 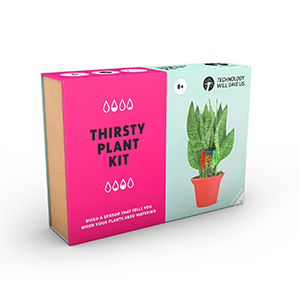 3 simple steps to build a sensor that tells you when your plants need watering. Kids learn how to build circuits and how solar power works. 6. Gamer Kit: Aged 10+. Build your own handheld games console and code your own games. 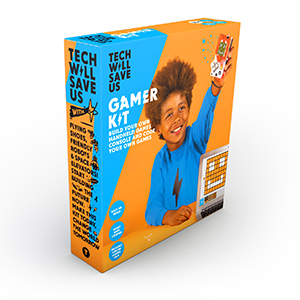 The Gamer Kit is the perfect way for kids who love gaming to learn to make and code their own games. Works on Mac and Windows, it takes as short as 15 minutes to build. 7. Synth Kit: Aged 13+. Combining electronics, making, and creativity to inspire music lovers. 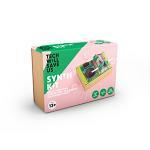 This kit is a fun, hands-on kit for kids that teach them how to build their own portable synth. It’s perfect for kids who are ready to really get into the nitty-gritty of how circuits and electronics works. Tech Will Save Us kits are now available online at https://www.minifab.com.hk/collections/tech-will-save-us and in retailers including Sogo (7/F Sogo Department Store, Causeway Bay) in December. We have partnered with Hong Kong’s top children learning center, Spring Learning for a children-parent workshop introducing the award-winning Electric Dough Kit on December 8, 2018.